Web Hosting is the backbone of any website or weblog and the right selection of the web host is the very crucial element. So if you are a web developer, blogger, entrepreneur, or a businessman, you must consider web hosting selection very seriously, otherwise, you will lose your business and customers. Looking for dedicated web hosting? Don’t worry, we have got you covered! 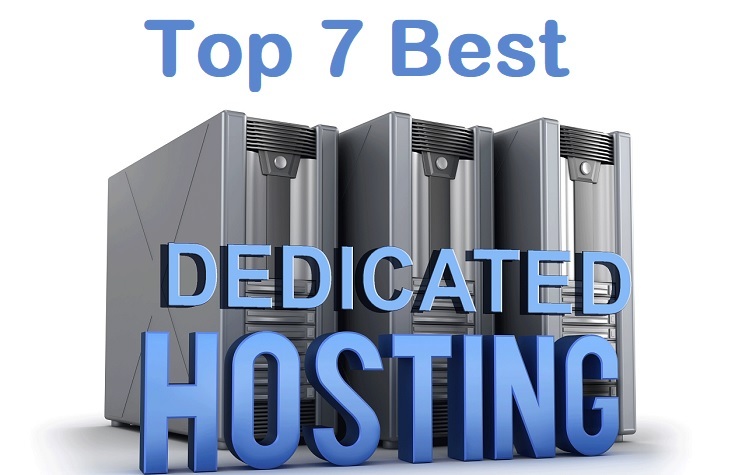 Here are some of the best dedicated hosting services. HostGator is one of the biggest names in web server hosting. It provides services to customers across the globe and offers premium hardware. HostGator has a variety of plans and functions for all kinds of web hosting. HostGator is also known for its ease of use as beginners can easily use the control panels. The web host also provides hosting for Windows and Linux both. HostGator’s services guarantee an uptime of 99.9% and offer excellent support that is available 24/7. It also offers improved WordPress hosting plans. Despite being under the same company like HostGator, Bluehost offer different experiences and is popular among online businesses, web designers and developers. Bluehost provides quality dedicated hosting and is the top recommendation for WordPress hosting as it offers optimization for the site. This hosting provider is suitable for a variety of different needs. For example, there are a lot of options for small and large websites and the web host has high variations on the services and prices. This hosting company offers managed and unmanaged servers. The packages they offer are highly customizable and ideal for developers. A2 hosting’s systems are styled primarily on WordPress and Drupal and includes SSDs free of charge. You can get A2 Hosting's services at reasonable prices compared to the other hosting services. The uptime is also guaranteed to be 99.9%, and customer support is available through phone or email. HostiServer is best for people who do not know much about server management. This web hosting service not only provides great managed hosting plans at reasonable prices, but the customer support is also very professional and helpful. You can get dedicated web hosting for your website by visiting HostiServer.com. 1&1 is another hosting service that is affordable and offers great uptime. The servers are located around the world and provide high RAM and space capacities.1&1 uses a dual hosting system, which stores your website in two locations. This feature increases the performance of your website, adds security, improves reliability, and is also a built-in backup system in case of emergency. Along with server management, you get a Website Builder, simple analytics, and automatic backup and restore for WordPress sites. iPage is a web hosting service that is Easy for beginners and best for people that have a limited budget. They offer fully managed dedicated servers that are best for growing your website without you being an expert either. You are offered unlimited bandwidth, storage space, unlimited domains and email addresses. There are also free features like SiteLock security, which is ideal for anyone who wants to start promotions and advertisement campaigns. With 99.999% uptime, kernel updates and a WHM/cPanel license, InMotion is best for business websites. As compared to other hosting services, InMotion keeps its hardware updated. Using solid slate drives makes this web hosting service one of the fastest web servers. All these web hosting services are quite reliable and provide professional customer support.